Shipping succulents and cacti may seem like a risky venture, but with proper packing techniques, you can ensure your plants’ survival. Succulents and cacti are generally quite hardy and can go long periods of time without water, so they are ideal plants to transport through the mail. Professional nurseries regularly ship their plants across the country and around the world with very few problems. Whether you’re moving and need to send your collection to your new home or you are sharing your passion for succulents with a long-distance friend, shipping succulents and cacti through the post is a safe and easy way to move your plants from one location to another. Professional nurseries tend to ship their plants either bare root or in small containers (or pots). Certain plants do better when shipped in small containers, rather than bare root, so do your research on what method works best for your particular plants. In general, if it has fragile bits that like to fall off, it should be in a container. Not everyone is sending whole plants, either. Succulent mail often takes the form of cuttings or leaves. Dry cuttings also do well in transport and can be packed in an egg carton for convenience and safety. Whichever method you choose, ship your plants using the quickest method available from your choice of shipping company. Although succulents do well in transport, it’s best to minimize the stress on your plants by making their journey as short as possible. You may also consider purchasing additional insurance for your package, especially if it’s a large shipment or a valuable plant. If you’re mailing plants to another state or country, check with the destination’s Department of Agriculture to verify that the type of plants you’re sending are allowed. To prepare succulents for bare root shipping, you’ll need to be sure that the plants have not been watered recently. Succulents and cacti ship better when they are a little dry. 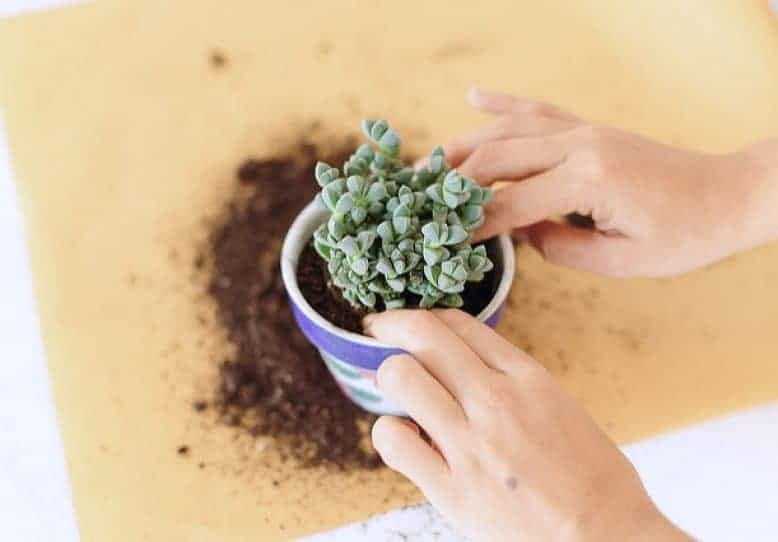 Gently grasp the plant at its base and pull it out of the pot. Shake off the excess soil. If the roots are too moist, you can leave the plant out for a day or two until they are dry enough for packaging. Wrap each plant with soft paper, such as tissue paper, using an extra layer or two if necessary. For cacti, you may need to use a few layers of a stiffer paper, such as newspaper, to help prevent the spines from poking through. Shipping succulents in containers or pots is not much different from bare root shipping. You’ll still need to wrap your relatively-dry plants in paper, but take care to wrap and pack the plants in a way that will minimize the amount of soil that falls from the container. If you’re feeling particularly dedicated, you can cover the surface of the pot with plastic wrap. That’ll help keep the dirt in (but also moisture, so make sure it’s totally dry!). By wrapping them carefully you’ll also prevent the plants from coming out of their pots during shipment. You should mark the outside of your box to indicate which side is up as well as a warning to prevent tipping. Choose a strong corrugated cardboard box for your succulents. 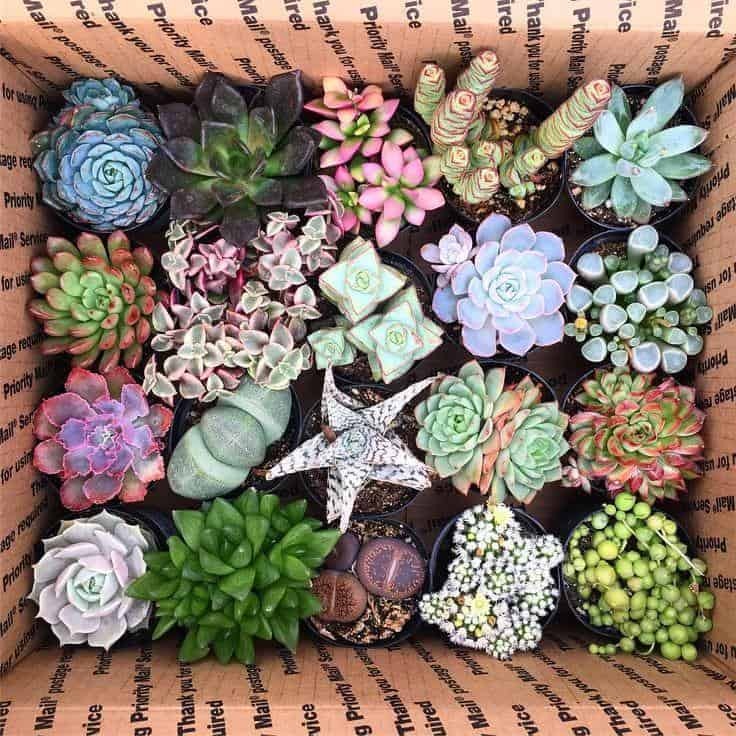 Boxes can sometimes (always) be mishandled during shipment, so you’ll want something that will prevent your succulents from being easily crushed. Remember to label each plant as you wrap it and place it in the box. Appropriate labeling of the outside of the box will tell package handlers to treat your box carefully. Write ‘perishable’ or ‘fragile’ or both on all sides of the box so your warnings will be visible from any angle. Be generous with packing materials. Whether you’re using packing peanuts or paper, you’ll want to make sure that all the empty space in the box is filled. You want your plants to move as little as possible during shipment to prevent damage. If you are shipping delicate succulents you may need to use extra packing material around them. Make sure your box is roomy enough to accommodate this. Once your box is fully packed, it’s a good idea to include a packing list before you seal the package. This list will let the recipient know what to expect and ensure that smaller plants or cuttings don’t get lost in the packing material. Be cognizant of these pitfalls so you can be certain your plants arrive happy and healthy! It’s important to remember your plants’ temperature preferences when sending them in the mail. Certain plants, even succulents or cacti, may not survive a midsummer trip to Phoenix. Likewise, if you’re planning to mail your succulents in frigid weather, you may have to make certain accommodations. Heat packs made specifically for plants are a great product to include in your shipment to keep your precious plants from freezing. If temperatures are expected to be below freezing, it might be worth your while to postpone your mailing date until the weather warms up a bit. Cacti come in a variety of shapes and sizes that can make shipping them somewhat difficult. Their spines can puncture packaging material and skin. If packed near delicate types of succulents they can even damage other plants in your box, so take care to pack them well! Experienced shippers generally choose to either wrap them in extra layers of paper or strategically place packing peanuts over the spines before wrapping them. Definitely use thorn-proof gloves if you’re handling cacti. The big thorns are no joke, and glochids (the tiny hair-like spines) can be a serious irritant. Remind the recipient of your prickly package to take care when opening. A warning note on the plant’s label or a quick note placed on top of the packaged plants should suffice. Including a few care tips in your package can assist your recipient in helping their succulents and cacti recover from their trip as quickly as possible. Remember, the plants have been in the dark for several days by the time they arrive at their destination. It’s important that they are exposed to sunlight as soon as possible. It may be wise to place the succulents in indirect sunlight at first and slowly introduce them to direct sunlight to prevent burning. Most nurseries find that their plants ship better when they are a little on the dry side, so the succulents will need a good watering after being transferred to their new pots. If the succulents experience a rough journey on the way to their new home, remember that a damaged plant may not be a lost cause. 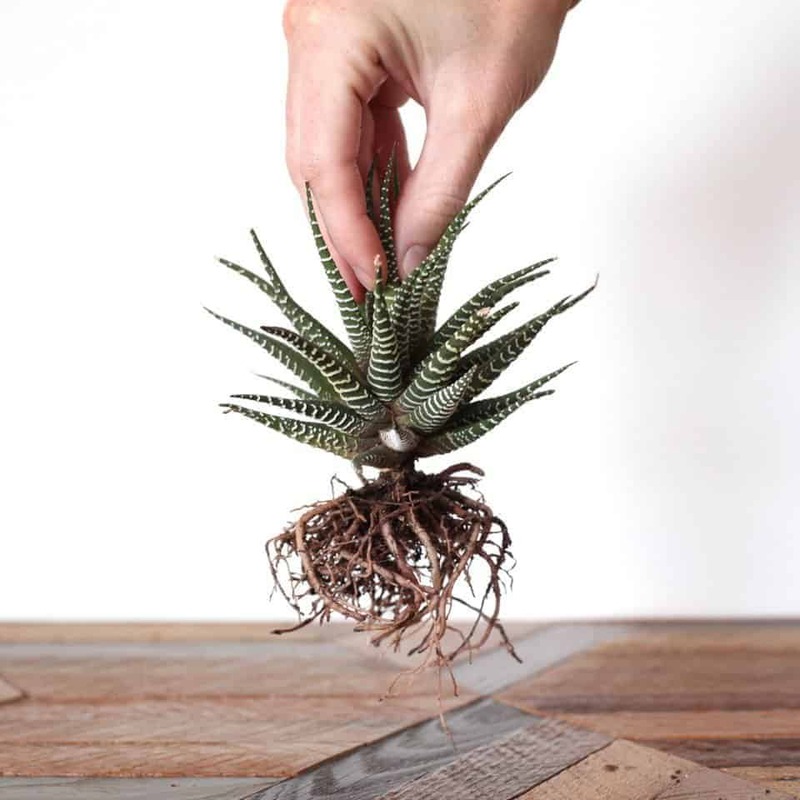 A piece of a broken plant may be treated like a cutting to propagate a new plant. By preparing your box of succulents carefully and deliberately, you can set your plants up for a safe and comfortable journey!